"The best improvisors are the ones that seem to invent and uninvent their instruments right in front of your eyes and ears. 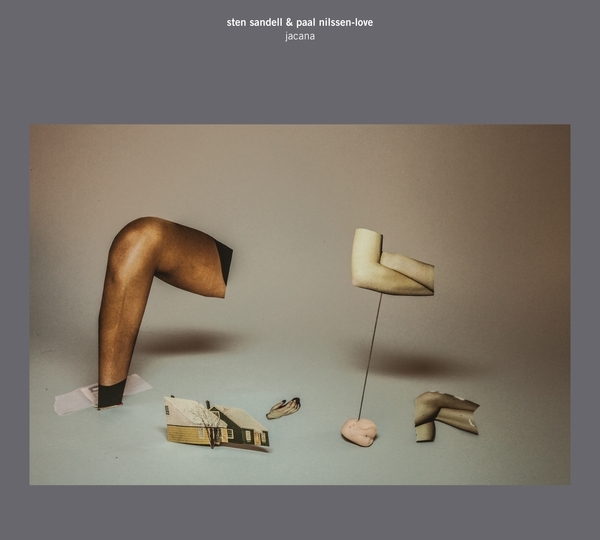 Swedish pianist Sten Sandell and Norwegian drummer Paal Nilssen-Love are two musical champions with a long experience of doing exactly that. ”Jacana”, the latest in our occasional series of unusual duo combinations, features the pair’s sparky improvised set captured at the 2013 Kongsberg Jazz Festival in southern Norway. ”Jacana”’s three tracks find the players flying close to the limits of their comfort zones, sometimes resembling the strange formality of Asian court music. It’s savage and ritualistic, spiky yet flowing, arhythmic but surging with understated pulses. Sandell breaks into vocal overtones on ‘Kauri’, like some tranced-out Mongolian shaman. He pokes around in the guts of Nilssen-Love’s rough surgical cuts and, at the start of the track ‘Jacana’ itself, pulls out some ear-bogglingly rubbery notes from his piano’s deep innards. At the end of ‘Curvature’ they break off from their instruments and simply clap for a while. Two men getting down to the essentials of what humans can do with wood, strings and skin. This is simply a stunning display of improvisation on the highest level from two musicians at the peak of their powers and in complete control of their instruments."